Knowledge Hunter: What Was Where? 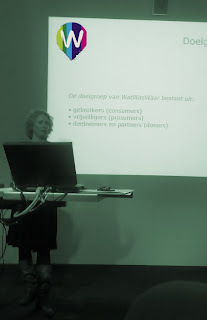 Today the Beta version of www.watwaswaar.nl was presented in Utrecht. The site's back-end was built by Toutatis. Wat Was Waar?, meaning "what was where?" is a website for the broad public showing the map of The Netherlands with all places clickable leading to a list of contents linked to that place in a certain period of time. From 1932 'till today. Currently the contents are aerial photo's, old city designs and information about house or land owners. The map viewer shows really clear and detailed maps, based on vectorized maps. Toutatis developed a smart pre-load mechanism, ensuring maps are shown really fast. Lots of ajax is used. Compliments to Toutatis and WatWasWaar.